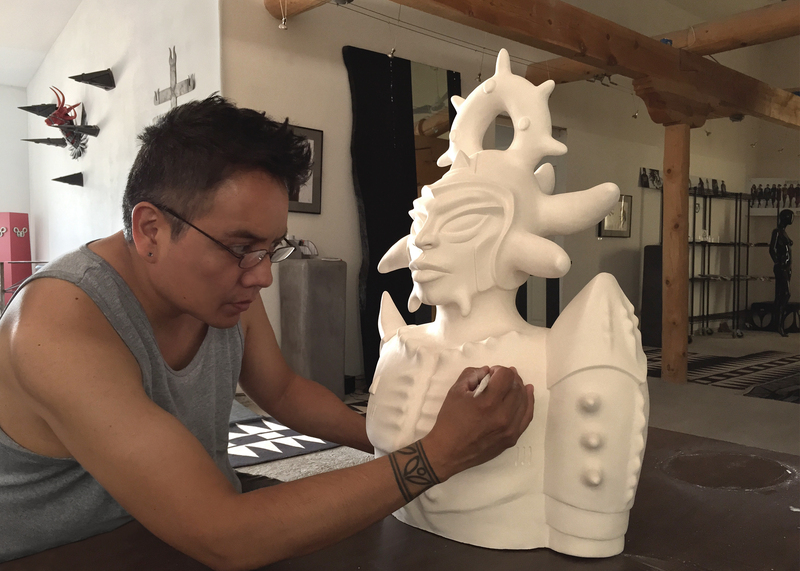 The Rockwell Museum and The Corning Museum of Glass are thrilled to welcome internationally acclaimed ceramicist, fashion designer, and graphic artist, Virgil Ortiz for an interactive, weeklong exploration of a material new to him–glass! Guests are welcome to watch as Virgil Ortiz works with the Hot Glass Team in the Amphitheater Hot Shop of The Corning Museum of Glass. Each day, the team will experiment with new ideas in glass and further explore Ortiz's well-known Pueblo Revolt series. NOTE: Virgil Ortiz and the Hot Glass Team will only be working from 9 am––12 pm on Saturday, October 24.